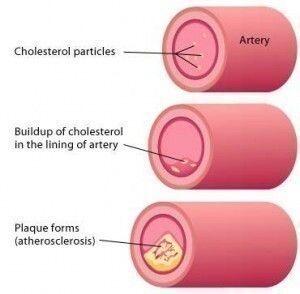 Also referred to as hypercholesterolemia, high cholesterol is a chronic and persistent medical condition wherein patients are suffering from high levels of blood cholesterol. This term is closely intertwined with elevated levels of lipoproteins or hyperlipoproteinemia, as well as elevated levels of lipids or hyperlipidemia. Possible causes of this disease include high-density lipoprotein, very-low-density lipoprotein and low-density lipoprotein. Some of the factors that contribute to these causes are unhealthy diet, obesity and inactivity. Here is a closer look at the different treatments, diagnosis as well as symptoms of high cholesterol. It is very easy to identify people with high cholesterol because they usually show both minor and major symptoms. Primarily, this disease has no early signs. However, symptoms will manifest after a longer period of time. Different kinds of hypercholesterolemia can actually lead to arcus senilis, which is a condition wherein the peripheral corneas of patients suffer from white discoloration. Additionally, the disease often indicates other noticeable signs, such as xanthelasma palpabrum, which is the development of yellowish patches in the eyelids. A third visible sign of this chronic health problem is xanthoma, wherein cholesterol is deposited in patches within the tendons or on the skin of patients. 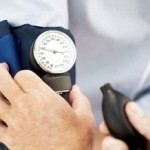 There are several ways to diagnose the onset of high cholesterol. A blood test is a highly accurate and efficient procedure, the purpose of which is to check and measure the level of blood cholesterol in lipid profiles or lipid panels. This diagnostic procedure can actually help report the presence of triglycerides, high-density lipoprotein cholesterol, low-density lipoprotein cholesterol as well as total cholesterol. Those who will undergo this procedure must not eat or drink anything aside from water for about 9 to 12 hours before it is started. In children, medical experts usually recommend a different screening procedure. According to the American Academy of Pediatrics, a cholesterol test is the right method fit for kids who are 2 to 10 years old, especially those who have a family history of premature coronary artery disease and high cholesterol. For patients who want to lower their cholesterol levels, they can take statins such as simvastatin, rosuvastatin and atorvastatin. In some cases, physicians may also prescribe bile-acid-binding resins like colestipol, colesevelam and cholestyramine. Other possible medications for this serious health condition are niacin, fibrates as well as cholesterol absorption inhibitors. For those who have yet to acquire this disease, it is best to main regular exercise and proper diet. 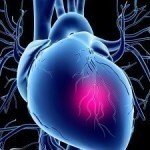 How To Lower Cholesterol Safely And Permanently …Now!